It’s not that music festivals aren’t fun anymore. It’s just that they’re not really about music. Sure, you’ll get to watch your favorite band over 150,000 screaming iPhones. But if you’re there to see music, get up-close and personal with it and appreciate it, festivals are deeply disappointing. They might be great for super fans of a specific band, but for music lovers, they’re lacking. But in rural Australia, one large festival still provides the intimate, immersive experience that other festivals once did. Though it’s not exactly close, and won’t always draw big names, it’s authentic, genuine, and infinitely entertaining. 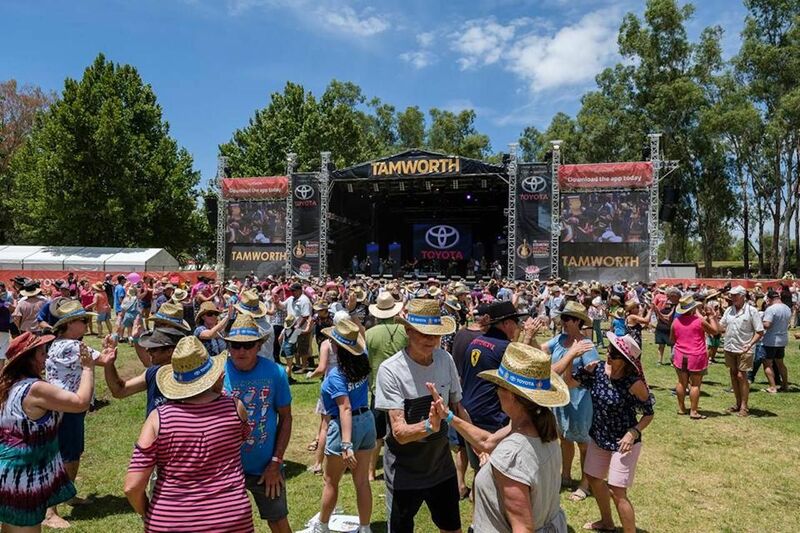 The Tamworth Country Music Festival in New South Wales is the kind of experience that reminds you why people love live music. Yes, it’s got a huge sponsorship with Toyota, but beyond those logos, nothing about the festival feels corporate. It’s a place you may well see next year’s big summer festival draw playing a tiny stage in a dingy bar with people aged 18 to 85 dancing right in front of the stage. Tamworth is a quaint country town about an hour by plane from Sydney. It’s a place of big fields and big sky where a chorus of panicking cattle mooing at the ominous sky precedes an evening thunderstorm. It’s country in the way you find country in Texas or California’s central valley, where eucalyptus-and-palmetto-filled farmland stretches for miles, and the open road has more semi-trucks than cars. 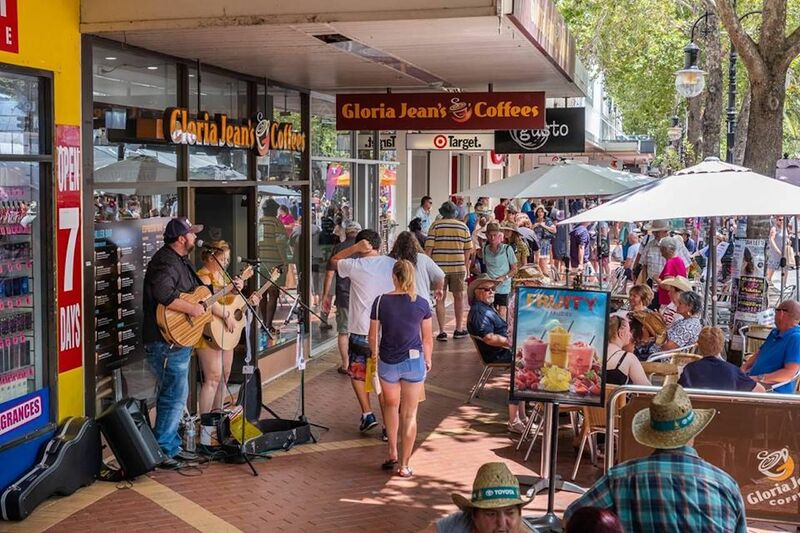 Each January, it hosts the largest country music festival outside the United States and the largest music festival in Australia. It draws 300,000 attendees over 10 days, with 700 artists playing 2,800 events in over 200 venues. But unlike other large festivals, its chief aim is to bring people closer to music. Approaching Peel Street — the city’s main drag — the festival greeted me almost immediately when I found a tall man in a cowboy hat playing his rendition of Johnny Cash’s “Ring of Fire” in front of a coffee shop. Another 50 feet down the street, a brother and sister played dueling guitars in front of a bank. These weren’t party-crashing amateurs, they were buskers who had to apply to play during the festival. It was a little like walking through a New York City subway station, except it smelled like eucalyptus and people actually smiled. The buskers played an ever-changing soundtrack as I walked the charming few blocks that make up the downtown. It’s filled with a handful of banks, a Target, and some small restaurants and hotels, looking every bit the part of small-town middle America nearly 7,500 miles across the Pacific. To escape the sweltering summer 45-degree heat (the metric system says that’s hot) I dipped into the Pig and Tinder Box, a street-facing restaurant with an elevated front patio. In the street, which was closed to traffic for the festival, the restaurant had constructed a stage to face the patio, and as I ordered my lunch a stunning young brunette with a guitar stepped up to its microphone. Without introducing herself she began singing her own rendition of “Jolene,” a song I always find ironic when sung by someone exceptionally attractive. Her voice was as passionate and desperate as Dolly Parton’s, so full of emotion and piercing pitch it seemed almost out of place serenading the lunch crowd on a shady restaurant patio. Her thick Aussie accent was the last thing I expected after a dead-on cover of Dolly Parton. The restaurant manager explained to me she was one of a handful of Star Maker finalists, a sort of up-and-comers competition among the best in Aussie country music. Keith Urban won in 1990, Tanya Self in 1995. The ability to watch top talent before it goes big time was one of the draws of music festivals once upon a time. I’ve never felt that at any of the dozens of festivals I’ve been to in the US, but the feeling was inescapable in Tamworth. After Chelsea Berman finished her set I wandered a couple of blocks down to the Tudor Hotel where a hard-driving country sound emanated from the stage inside the window. I entered past people dancing in cowboy hats to see a young bearded man singing energetically to the small room. Though the hotel bar was packed, the day’s heat made hotter by the people inside, the man played the room like it was a large theater. “We’re Linc Phelps,” he said after finishing, already visibly sweaty after his second song. He then launched into a story about how his bass player was literally a guy he’d met in the hotel’s men’s room the night before and asked if he could fill in during this afternoon’s set. They laughed about it while taking swigs of beer between songs. Apparently, this kind of thing is commonplace at Tamworth. Phelps was another Star Maker finalist, all of whom played their hearts out in the brutal heat multiple times a day, in venues all over the city. But it’s that passion and determination that makes this festival feel more real than anything I’ve ever seen. 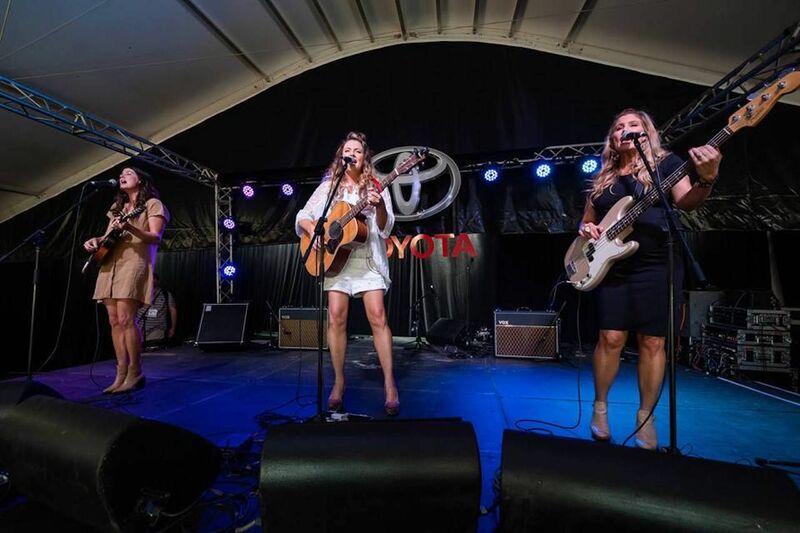 Nearly every bar and restaurant in Tamworth was alive with country music during the festival, the kind of scene people described in Nashville and Austin before they were taken over by bachelorette parties and tech startups. Even A-listers feel authentic in Tamworth. It’s not just the small venues dotting downtown that make music so accessible. The city’s Memorial Park hosts a massive mainstage where larger, international acts perform free concerts. They are the antithesis of what music festivals have become, a chance to relax and enjoy music without fighting crowds and paying $12 a beer. Though the festival is gigantic, it doesn’t often draw big names. 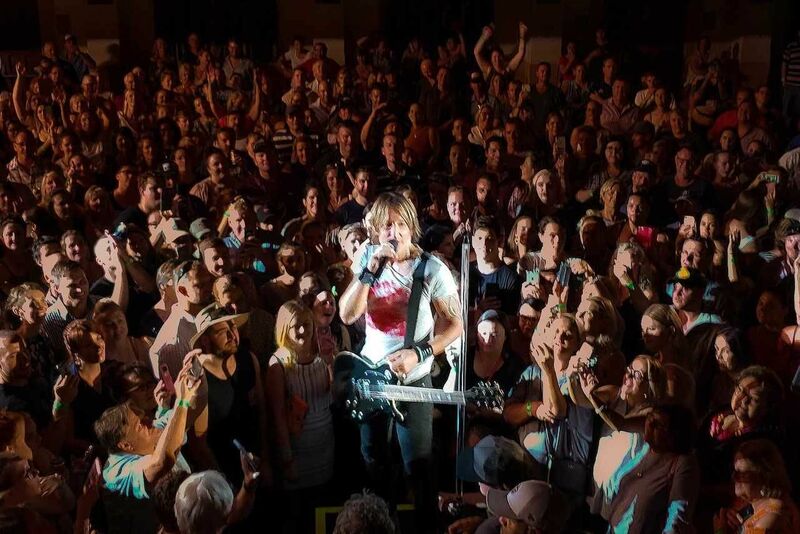 But this year Keith Urban — the only Australian country singer most Americans can name — played the tiny, 900-person Tamworth War Memorial Town Hall. The show was a benefit for Rural Aid Drought Relief, held in a space roughly the size of a high-school auditorium dating back to the 1930s. Urban got his start in this building, winning the CCMA Talent Quest when he was eight years old. So when the festival asked him where he wanted to play his big benefit show, rather than the massive main stage, he opted for the Town Hall. Even the lone A-lister playing Tamworth gave a performance that felt truly authentic. Where big-name concerts can often feel like the performer has no idea what city they’re in, yelling “What’s up FORT LAUDERDALE? ?” just like they yelled “What’s up ORLANDO? ?” the night before, Urban seemed like he was once again an eight-year-old excited and grateful to be playing on this stage. Over the next two and a half hours Urban told stories about his experiences at Tamworth. He walked out onto the floor and played a handful of songs. He shook hands. He pulled a girl out of the audience and gave her his signed guitar. He seemed as in love with the small audience as they were with him. After leaving the concert close to 11:00 PM, I grabbed a barbecue steak sandwich from a small stand outside the Tudor Hotel then walked through the warm night air to the Imperial Hotel. Through the lobby and past the bar, I followed the sounds of the guitar to an outdoor beer garden that had been transformed into a makeshift festival venue. Young people — college or high school age — danced in front of the stage. Behind me, the dance club in the Imperial Hotel with its flashing colorful lights and pounding electronic music sat empty, even though the late-night crowd looked barely of legal drinking age. Obviously, the draw of live music, even if it was a Jimmy Buffett cover, was still stronger. This, I realized, is why people fall in love with live music. The opportunity to see people doing something they’re passionate about, up-close and personal, is a uniquely gratifying experience. Sadly, as that experience has gotten more commercialized, much of the intimacy has diminished, and festivals don’t always satisfy those who truly love music. 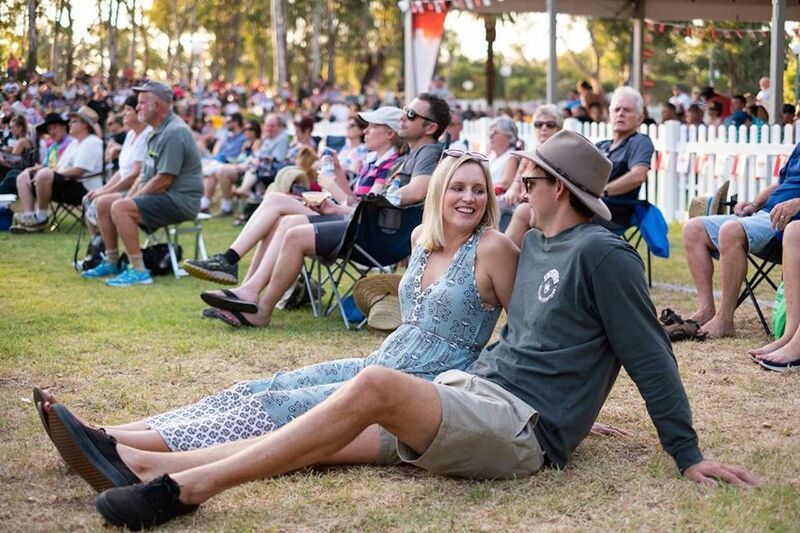 But for 10 days in the Australian summer, Tamworth embodies all that’s great about live music. For lovers of country, or any genre really, it might be the best vacation in the world.